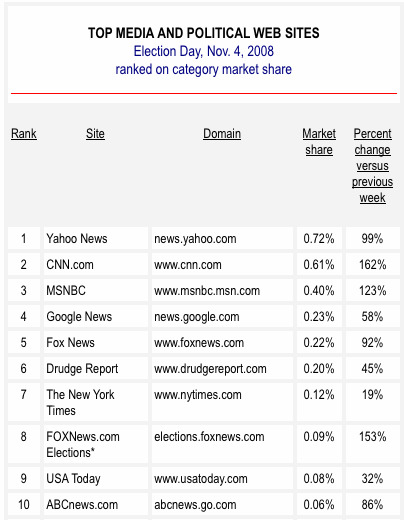 Mostly analytics about the web. Hello World! Happy new year. Today I make good on one of my new year’s resolutions — to start blogging again. I agreed to each, because each is worth attending. 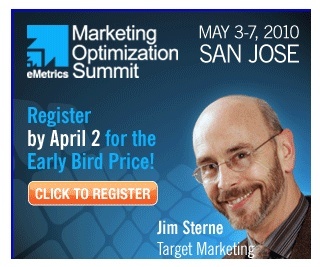 The Marketing Optimization Summits need no introduction: if you are remotely interested in web analytics and marketing optimization, you already know the name eMetrics. eTail is all about online retail, focusing on multi-channel e-commerce, campaign management, etc. it will be my first time there and I’m excited about it. Strata is a new conference from O’Reilly that promises to showcase a wealth of innovation in Big Data – much broader in scope than any of the other conferences, and probably a lot more technical too. If you see me at any of these, please say hello! Cool to see Jim’s smile on my web browser. 🙂 I wonder if LinkedIn showed me this because they figured I’d be interested (behavioral targeting) or because the profile mentioned analytics (contextual targeting)? eBay has many fabulous analytical tools already, both commercial and home-grown, for lots of different kinds of analysis. In addition, they are on a road to build out a whole new class of analytic capabilities based on Hadoop. They recently reorganized the data initiatives and groups to form a team that re-focuses the “many standalone tools” mindset to a “platform” for analytics. This holistic vision, and the “central data, distributed analysis” mindset aligns so well with my thinking and interests that I had to make the jump. As much as I love what Yahoo! is doing with analytics, the opportunity at eBay was too compelling to pass up. I mean, come on .. it’s the world’s largest online marketplace! My discussions with the eBay leadership team told me two important things. First, they are ready to make significant investments in data capabilities to drive the next generation of eBay. Second, the new leadership over the last couple of years is bringing a change to the business, where the company will be much more technology- and innovation-driven than it has been in the past. Many of the leadership hires in the last 18 months are a testament to that. And I like to think I am another proof point. Having cool technology and a leadership team that understands the value of data is a great start. But the icing on the cake is the level of data and analytics talent within eBay. It is, in a word, staggering. I am truly humbled by the opportunity to work with a group of this caliber. When I started my keynote presentation at eMetrics Santa Barbara 2006, I said “there was a time when I was not at Yahoo!, and there will be a time when I’m no longer at Yahoo!.” That day has come .. it’s my last day at Yahoo!. Lest anyone think this means I’m down on the company — it’s quite the opposite! 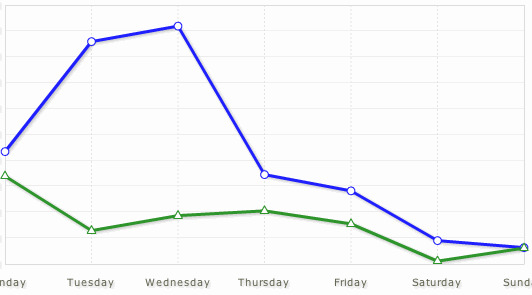 I’m more positive than ever about Yahoo!, especially the analytics. I am very excited about where the company is going with data. After a short but ill-advised set of changes that de-emphasized a coordinated approach to data and analytics, a new leadership team (read: Carol Bartz) recently reconstituted a central data and analytics group. You may even have heard or read Carol saying we’re looking for acquisition candidates in the analytics space. I’m very glad to see the return of executive leadership that sees the strategic value of data. And with that, a chapter closes. Yahoo! has been good to me, and I like to think I’ve been good to Yahoo!. But even the good things don’t always last forever, and after almost five and half years, it’s time for me to say goodbye. I’m going to take a short break, decompress a little, and then gear up for the next thing. But that’s a story for another time. Compared with some of the graybeards of Business Intelligence, the Web Analytics “industry” has not yet left adolescence. But I think many of the lessons learned in the greater web analytics field, combined with more powerful machines and a greater “popular culture” around number crunching, are going to lead to analytics for very specialized fields. At a minimum, it might move us away from generic tools that look at the Web to tools that have specific knowledge of a particular business — kinda like a specific solution for scheduling & billing for dentists vs. bringing in Oracle Applications and Accenture. What can be bad about that? If there’s one thing better than having lots of data, it’s probably visualizing it. I’ve been coming across new sites and new ideas for visualizing data, and thought I’d mention a few. One of the things I love about the New York Times is their smart visualizations. The interactive graphic A Year of Heavy Losses was a huge hit last fall (even if the data was scary as hell) as the financial meltdown was unfolding. Treemaps can be difficult to understand, but this one nailed it. Even the Times’ day-to-day infographics can be a pleasure to look at. Did you know that the NYT has a Visualization Lab where you can make your own visualizations? It uses the many eyes technology from IBM. FlowingData explores many visual aspects of data. If you haven’t seen their visualization of Watching the Growth of Walmart Across America, (which uses the Modest Maps library) I highly recommend it — but the site has a lot more to discover. Jeff Clark over at Neoformix continues to produce thought-provoking visualizations, many full of beautiful insight, like this contrast of two speeches, and some, like his visualization of Obama’s victory speech, are just plain “hang on the wall” beautiful (politics aside). I spend way too much time at Neoformix. Rather than single out one post, check out his Neoformix Review 2008 and see if you’re not intrigued. Jeff also links to other interesting visualization sites and projects. Infographics should tell a story. Seeing a map of the US with red and blue states doesn’t really give the full scale of how the election went. Mark Newman, however, does a good job showing how using the geographic area is the wrong way to visualize the data, and coming up with better suggestions. Tim Showers’ visualization discussions are worth checking out. I particularly liked his post on the challenges of visualizing multi-level data . And .. if you like infoclutter (and we all do, sometimes, right? ), check out this dashboard! Finally, if you’ve made it this far: not really a data visualization, but a fascinating time-lapse movie of a four seasons in one 40-second video. Have you seen other interesting visualization ideas?